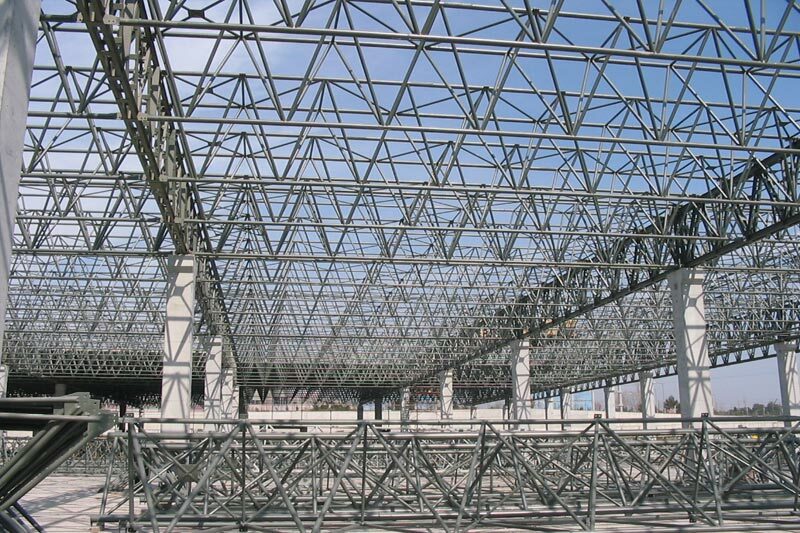 As Erkiz Engineering, Construction Inc., We provide services for steel construction work is structured in itself such as industrial buildings, factory buildings, shopping centers, schools, hospitals, buildings,residences etc. Successful and experienced technical staff, has established infrastructure in this way. We carry out our production in fully automated machine line for our steel construction business. When selecting machinery and equipment has been taken that have advanced technology, we aim to be a leader in the high quality of the products we make, keeping the manufacturing sector.For our production of steel construction we use the World-famous brand of machines as Voortman,HGG,CLOOS and FACCIN. 1 automatic Tandem (two wire) and single wire robotic welding machines. 1 automatic CNC controlled profile and pipe bending machine.